Legacy from Black Camel Pictures is a U.S.-set psychological thriller starring Idris Elba. who also executive produces. Elba plays Black Ops soldier Malcolm Gray who returns to a Brooklyn hotel after a failed mission in Eastern Europe where he undergoes an intense journey on a quest for personal retribution. Legacy was written and is directed by British Nigerian talent Thomas Ikimi, who also produces with BAFTA winners Arabella Page-Croft and Kieran Parker. Ikimi first gained attention when his first work, Limbo, a feature he wrote, produced and directed for just $9000, opened the Taormina International Film Festival in 2005. The film also stars Eamonn Walker (Cadillac Records) Clarke Peters (The Wire, Marley & Me) Monique Gabriela Curnen (The Dark Knight, Half Nelson) Julian Wadham (The English Patient) and Richard Brake (Batman Begins). 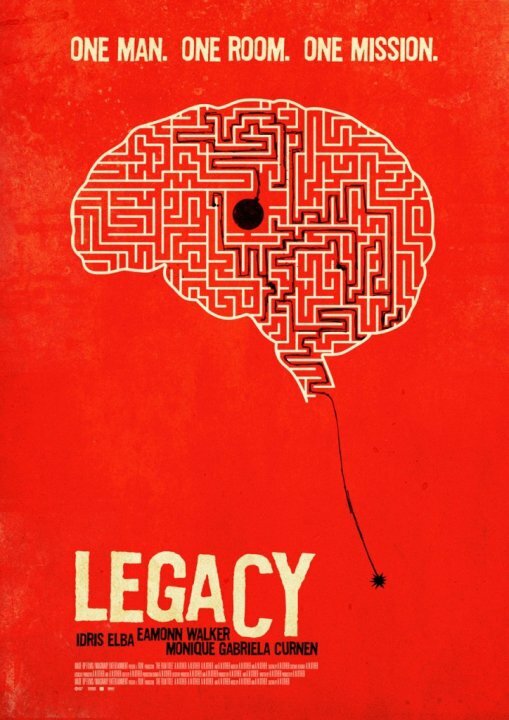 Legacy received its World Premiere as the Closing Gala Screening of the Glasgow Film Festival on 28th February 2010 and received its International Premiere at the Tribeca Film Festival in New York on the 27th April where it played as part of the Discovery section.